The heat is on across China this year, especially in the northeast. Record high temperatures in Liaoning province this week have prompted safety warnings and concerns for many residents. The most-watched social media videos of the past week in Shenyang city prove that marine life suffers from heat waves just as human do. Tons of fishes have died from the scorching temperatures. This summer marks Shenyang's hottest on record in nearly seven decades, with temperatures staying above 35 degrees Celsius for seven consecutive days. “We went to check the water temperature immediately after dead fish were spotted, the temperature was around 42 degrees Celsius. Normally the highest temperature fish can withstand is 38," said Zhang Haigang, a patrol member of the Guangdong wetland at the outskirt of Shenyang city. The soaring temperature is also threatening Shenyang's eight million people. The week-long heatwave has brought a surge in emergency calls across the city. The most common complaints are heatstroke and dehydration. 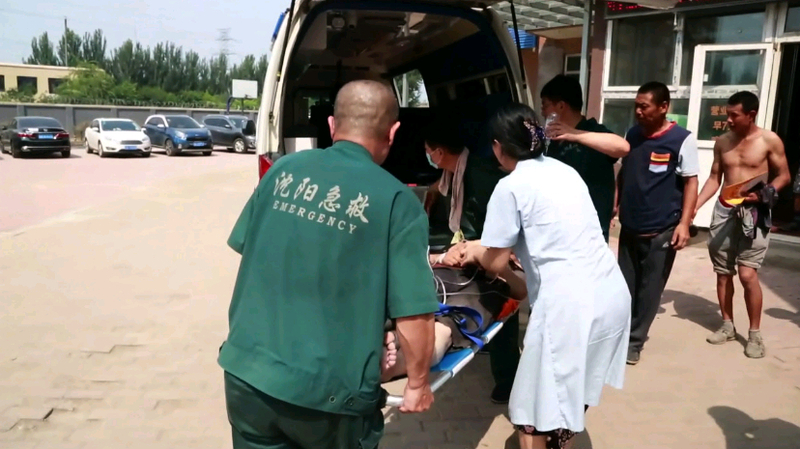 Huang Lai, the section chief of Shenyang Emergency Medical Center, told CGTN, "The human body can only function within a narrow range of body temperatures. Since the beginning of this latest heat wave, we have treated far more patients for heatstroke than in the previous years." The forecast from the provincial meteorological center here in Liaoning calls for scorching heat all the way through Sunday. Experts urge residents to reduce their time in the sun, drink plenty of water, and especially take good care of children and the elderly. Many residents are hitting the swimming pool or hiding in the air-conditioned indoors to beat the heat. Some say this summer makes it impossible to live without an air conditioner. Walked through the street side and saw too many cleaners were still working. Gave them some bottled drink! Happy Smiles! I told them that they did the lowest, dirtest and despised job! BUT THEY RECEIVED THE CLEANEST MONEY! This summer is on track to become one of the hottest on record in Atlantic Canada, as stifling heat and humidity levels persist from coast-to-coast, experts say. "It has just been relentless," said David Phillips, a senior climatologist with Environment Canada, who added the heat wave is expected to last until the end of August throughout much of Canada. Rolf Campbell, a weather historian who has gathered over a hundred years' worth of raw statistics from Environment Canada, said cities in all four Atlantic provinces had both higher average temperatures and maximum temperatures in July than in previous years. "It's rare to have such a persistent heat wave that strikes so much of the country," said Campbell. "It's not abnormal for one province, or even just the Maritimes, to have an unusually warm spell, but for it to be consistent from Toronto all the way to Newfoundland for several weeks? That's pretty unusual." In a phone interview Monday, Phillips said the system that brought the heat to Canada is sometimes known as a "Bermuda high," where hot, humid air moves into the country from a high-pressure system over Bermuda. Yes, some friends who went to Finland were showered with summer blaze. Climate change is spurring sea levels to rise all around the world, but few places are as threatened as coastal Alaska, where whole villages are being swallowed by the Pacific and Arctic oceans. For the people of Newtok, Alaska, in the western part of the state, the ground they live on is literally being pulled into the ocean at a rate of around 70 feet per year. The stilts that houses relied upon in the past to survive high tides are becoming increasingly ineffective. The town has already lost its barge, sewage lagoon, and landfill, according to NPR, and it will soon lose its primary source of drinking water, school, and airport. It’s only a matter of time before their town is submerged and families are expelled from their homes. Most of the people of Newtok are a part of the Yup’ik tribe, and have deep roots in the region. They don’t want to leave, but they realize they will soon have no choice. When that happens, few people have the means necessary to adequately relocate and start anew somewhere else.